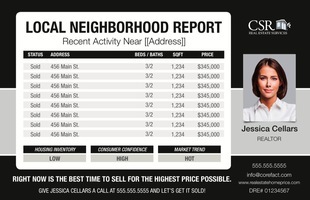 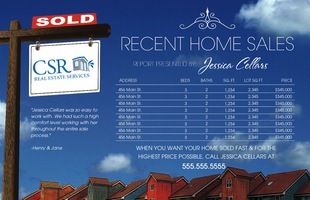 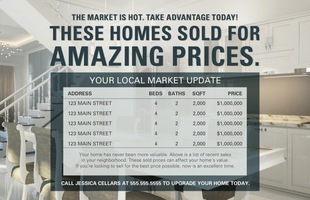 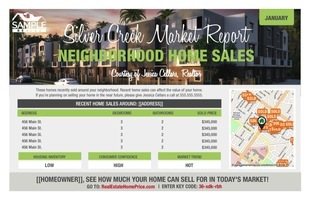 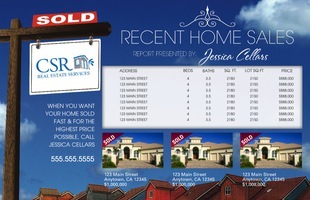 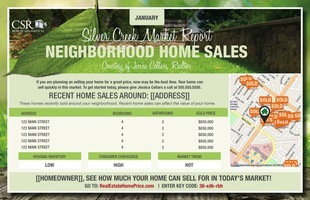 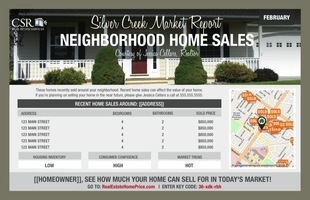 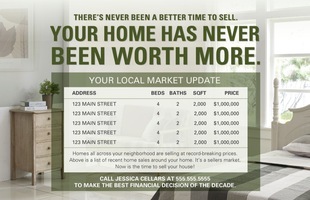 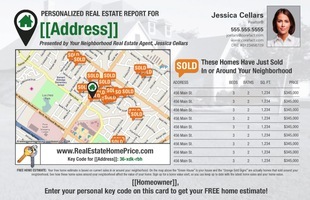 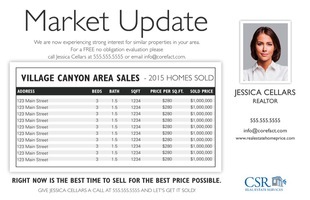 Generate more leads with a Market Update postcard. Having local, up-to-date real estate information can convert homeowners to home sellers, whether or not they’ve begun thinking about selling. 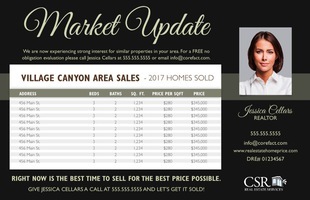 Our automated system can help you create personalized market analysis for each homeowner and get them calling you for more information.